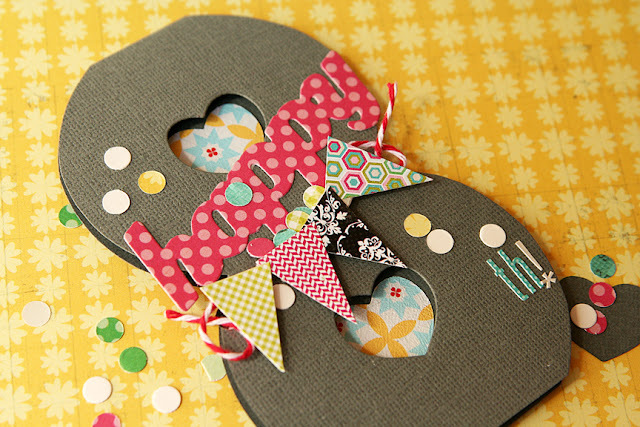 Homespun with Heart: Shaped cards. 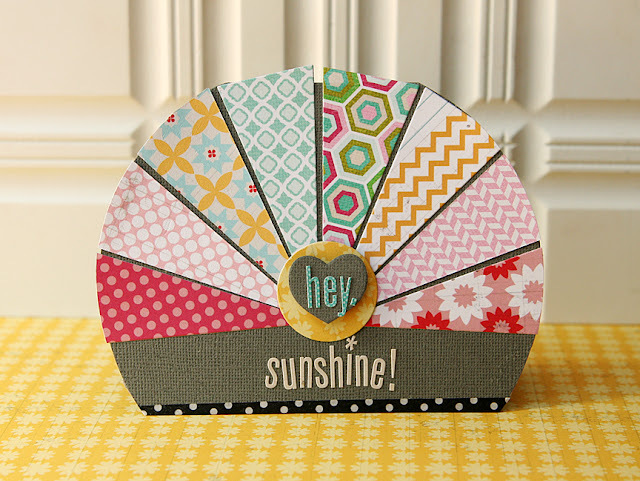 Today Lisa Dickinson and I are up for "shaped cards" on the Lily Bee blog! 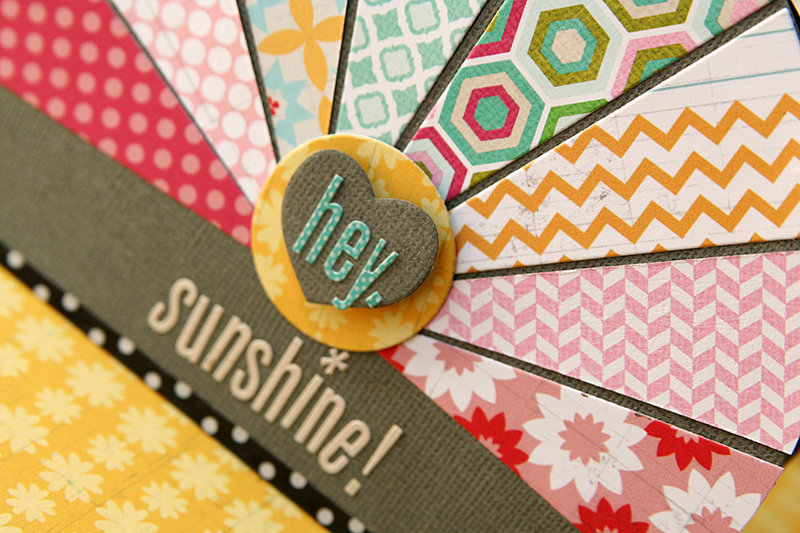 Sunbursts are all the rage these days, so at first I thought of doing a round card with a sunburst on it, but ended up trimming the bottom of the card flat instead, and I kind of like it better! Reminds me of a sunset. I used many different patterns from the Lily Bee papers with some gray cardstock, and I think the patterns really "shine" against the gray! 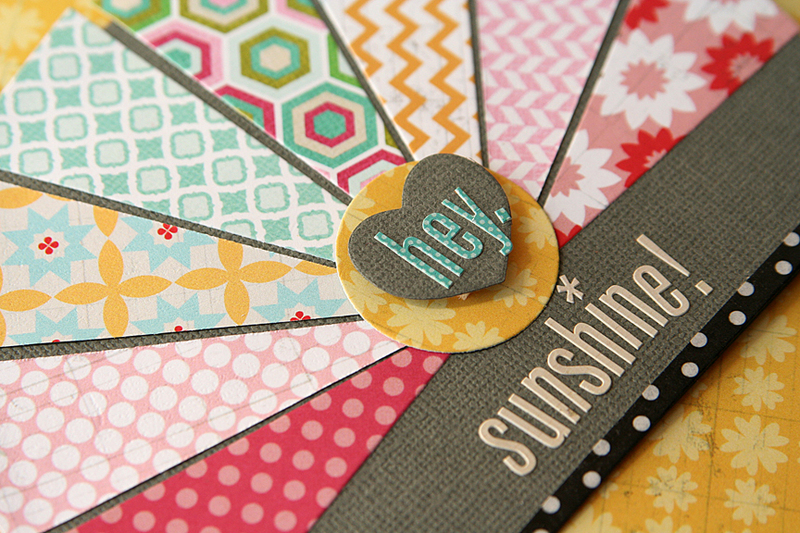 To create the sunbursts, I die cut them out with a die called Hello Sunshine by Papertrey Ink. After attaching them to the card, I trimmed off the tops to create the rounded look. A little strip of washi tape jazzes up the bottom, and the Lily Bee cardstock stickers spell out, "hey, sunshine!" A couple of little tips: don't forget to leave a fold at the top of your circle when creating the card base. Also, thicker cardstock works much better for this application. You don't want a flimsy card! OTHER: washi tape, Martha Stewart 1" circle punch. For my second card, I made a little 8th birthday card with a large number. I simply used a coffee mug to trace the two circles and cut the number out myself. 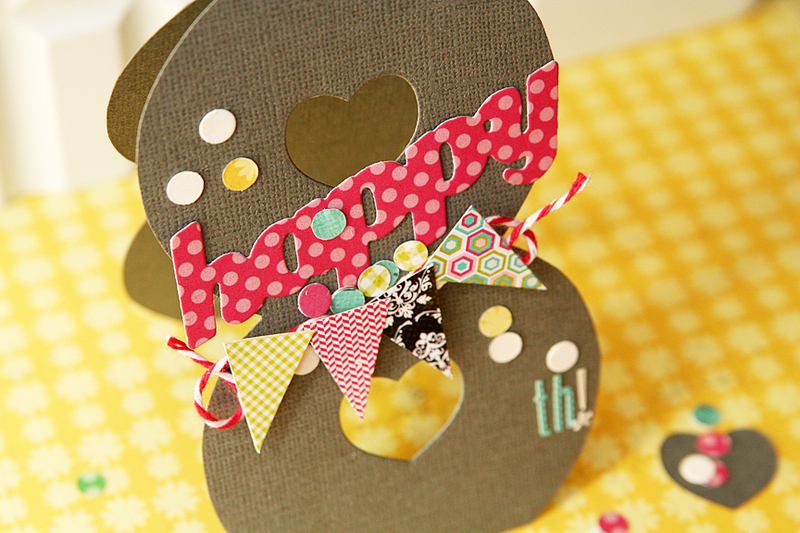 I used a little heart die (Heart-2-Heart #3) to cut out the centers of the 8. To do this, I placed the heart die on top of the 8 and ran it through the Cuttlebug. I couldn't use a punch to cut out the centers, because my punches wouldn't reach all the way into the center of the 8. Those cute Lily Bee banner stickers from the Victoria Park line dress up the center of the number 8, along with the word "happy" cut from patterned paper cut with the Pretty Peonies dies. And you can never have enough confetti, in my opinion, on a birthday card. This would be fun for any birthday age! OTHER: small hole punch, The Twinery twine. Way cute!! I love shaped cards and you've inspired me to try a totally different shape!! Thanks for the inspiration!! You are amazing! Wow, I love both your cards. You are really an inspiration. I have to look at household items as tools as you did with the mug on your second card. You decorated it so pretty. So much inspiration here. Love both cards, and now I'm tempted to try my hand at some. You ALWAYS make me want to make cards and I'm not a card person. I love that 8 card. It's so darn adorable! These are INCREDIBLE!! Love them both! 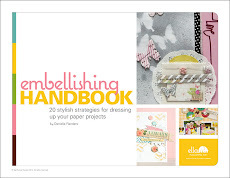 Fantastic ideas! I am head over heals for the 8th birthday card! 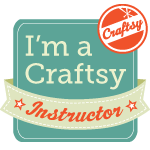 So very fun (and I love how low-tech it is - good old-fashioned tracing and cutting!!!) I pinned that one (from Lily Bee - where I tried to leave love, but for some reasons I couldn't click on "comments" to do it!) Thanks so much for sharing!! Love those form cards. They're very beautiful. 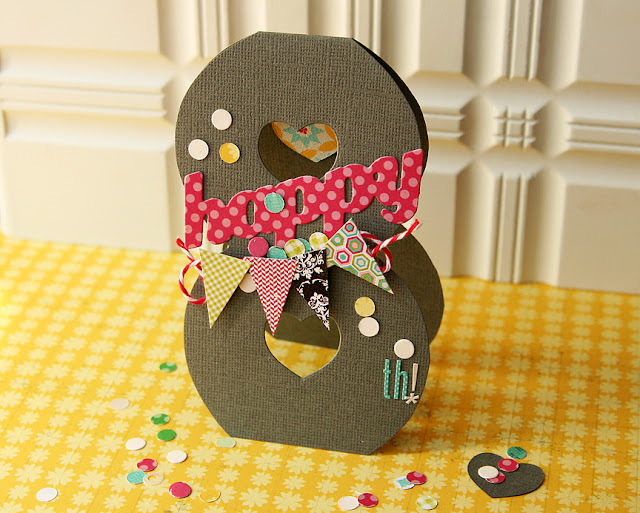 Thanks for sharing, Johanne L.
Love your ideas, such pretty paper on the first and I do like the idea of cutting it flat across the bottom :) The 8 is so cute and great idea for a kids card! Your "8" card is probably the cutest card I've ever seen! Love the colors and design of both- your creativity amazes me! Love these cards, especially the 8th birthday! How clever of you!! These are both so darling Danielle! Your blog is so much fun to visit. You always know how to inspire me. The heart to heart card is looking so nice. So nice design. How many time was taken during designing this? These are adorable! Love the shapes of both and your clever uses of products! WOW that's a cool twist on a card! your cards are always amazing & ever so unique, LOVE!!! Both are just fabulous! That 8 card is just adorable.